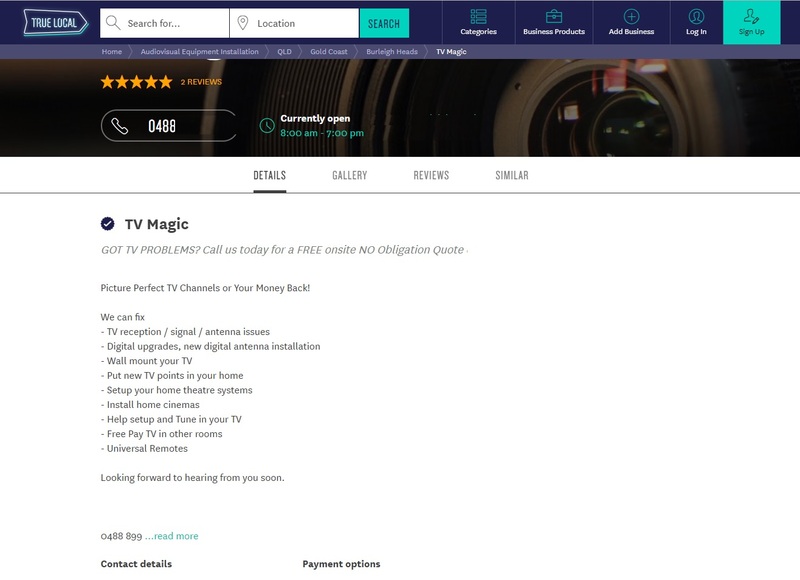 TV Magic Reviews - How does TV Magic stack up? Votes & Opinions of customers, staff members & technicians. 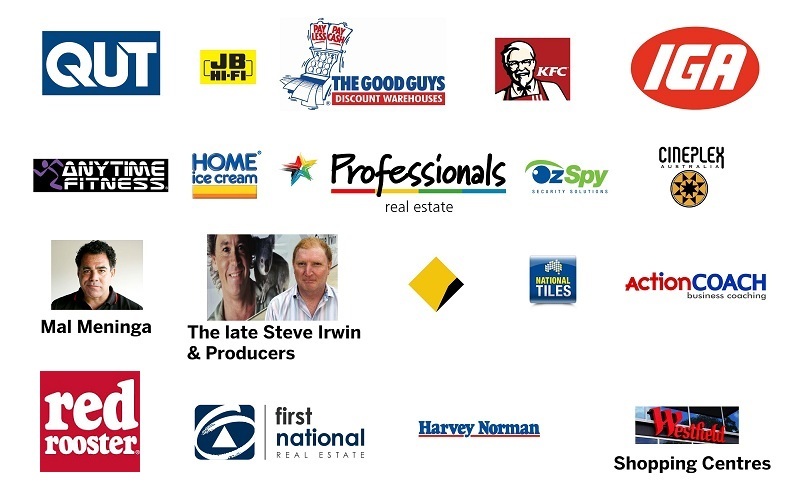 See how many reviews TV Magic has - voted by technicians/voted by staff members and voted by hundreds and even thousands of customers across Australia. TV Magic takes business and customer service very seriously. They aim to do a seriously good job in all aspects and from every angle as a nation-wide company. TV Magic reviews are displayed below with complete transparency; with nothing to hide. 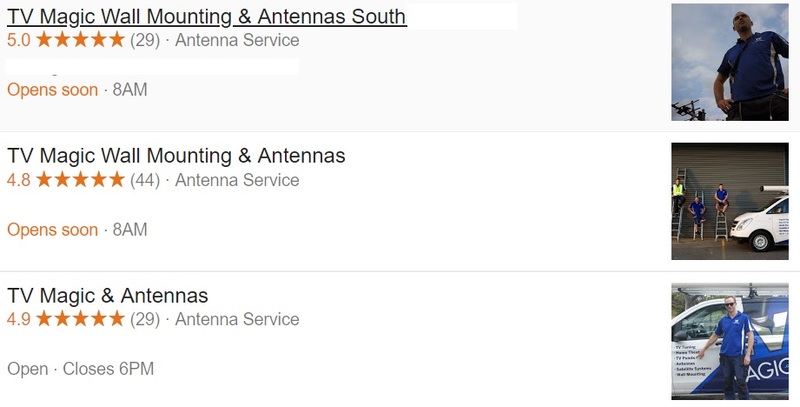 The technicians are 100% independent business owners and the TV Magic reviews displayed, correspond to their individual service area/s. 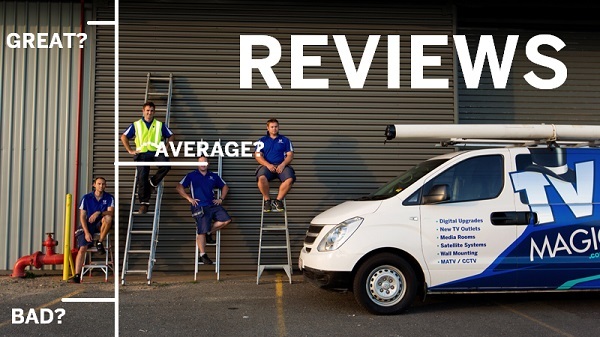 Only through years of surveying our customers, making mistakes and getting positive and negative feedback have we been able to grow as a business and improve our customer service. 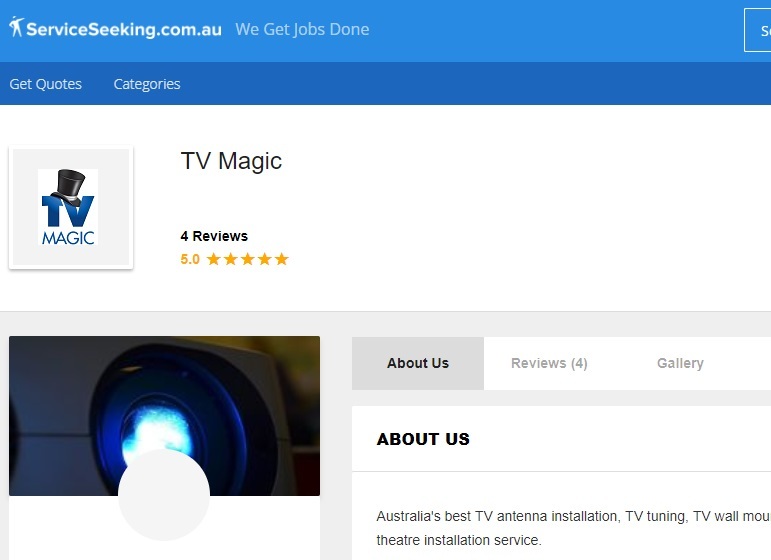 TV MAGIC SERVICES 40 X LOCATIONS ACROSS AUSTRALIA - FOR UP TO DATE / ACCURATE TV MAGIC REVIEWS - PLEASE GOOGLE "TV MAGIC ANTENNAS - (+ Location) "
Here 3x TV Magic locations that have multiple 5x star reviews - voted by real customers. 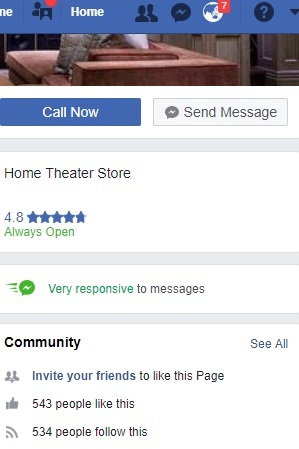 The number in the brackets (29) identifies how many reviews have been made.